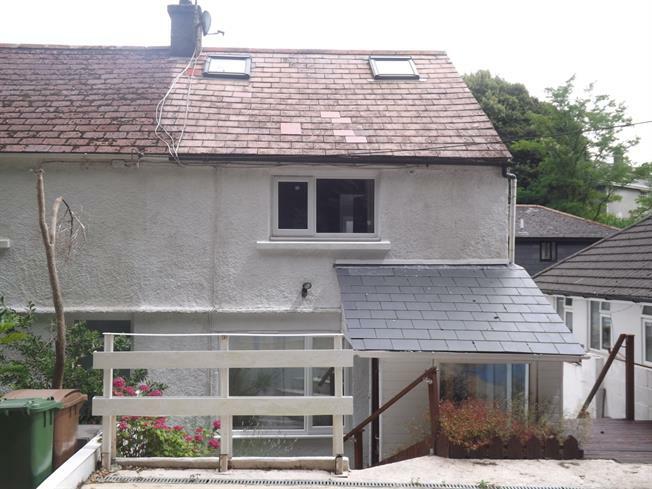 2 Bedroom Terraced Cottage For Sale in Plymouth for Guide Price £170,000. UPVC double glazed door. Double glazed uPVC windows. Ceiling light. Double glazed uPVC window facing the front overlooking the garden. Radiator and wood burner, ceiling light. Double glazed uPVC window facing the rear and side. Radiator, ceiling light. Roll top work surface, wall and base units, one and a half bowl sink, integrated oven, integrated hob, over hob extractor, space for washing machine, fridge/freezer. UPVC double glazed door, opening onto the garden. Double glazed uPVC windows. Ceiling light. Double glazed uPVC window with obscure glass facing the rear. Radiator, ceiling light. Low level WC, inset sink. Double glazed uPVC window facing the front. Radiator, ceiling light. Doors leading to stairs leading up to loft room. Double glazed uPVC window with obscure glass facing the rear. Radiator, ceiling light. Low level WC, panelled bath, shower over bath, vanity unit. To the front there is driveway parking for two cars and steps leading down to entrance. Side path leading through to rear. The rear garden is fully enclosed with decked seating area, patio seating area and a built in outhouse with electric.